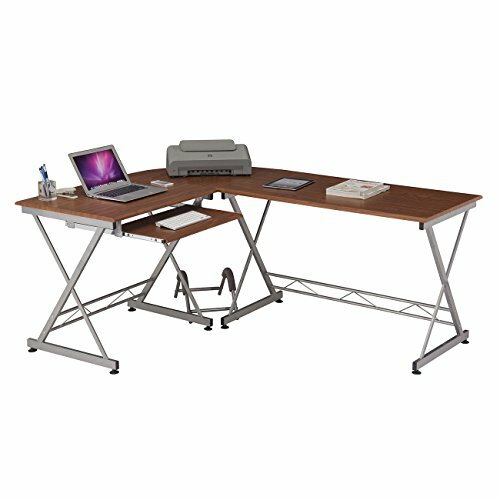 This Techni Mobili L-Shaped Computer Desk offers a spacious work space with a slide-out keyboard shelf equipped with a safety stop. Desktop is made of MDF with PVC laminate surface. The flexible L-shaped design allows you to configure the desk to suit your needs, with the long and short sides being interchangeable.